Here at the iCafe we want to make sure your equipment and information are as safe as possible over the summer months, so we’ve developed a checklist of best practices to help you prepare the technology in your classroom for those long, glorious summer months. Below you’ll find detailed directions to go along with the Printable Classroom Check-List. As in years past, all staff members are asked to complete the Classroom/Office Closeout Check List & tape it to the outside of their door before they leave for the summer. This allows members of the LCISD Tech Services team to quickly make note of anything in the room that needs to be fixed, or reported. IMPORTANT: All computers will be erased & updated over the summer. As in years past, all district computers will receive a fresh image. This helps prepare our machines to operate as efficiently as possible in the upcoming school year. What do these changes mean for you? It means EVERYTHING you have saved on your computer will be erased. Gone, see ya, hasta la vista baby! So before you leave campus for the summer, be sure to back-up or save any files on your desktop or in your “My Documents” libraries to your H:\ Drive, a flash drive, or OneDrive for Business.What about your H:\ Drive? Files on your H:\ drive won’t be erased, but we know there are times you would love to access your files over the summer. If you haven’t already done so, NOW is a great time to learn how to move all your files into OneDrive for Business so you can access them from any device with internet access. Be sure all power lights are OFF – prior to closing the laptop’s lid, & placing it in a laptop cart. If you have a power cord for your laptop, store it securely with your laptop. Do not leave laptops unsecured in classrooms or offices. Staff members may renew their Instructional Laptop check-out for the summer. Check with your campus librarian or administrator regarding check-out and reimage procedures. All staff members who have instructional laptops checked out to them over the summer are responsible for dropping their machine off at the Development Center for imaging this summer. WHERE – LCISD Development Center (between LCHS and LJHS) at 930 East Stadium Drive in Rosenberg. Call the Help Desk at 832-223-0220 with any questions. Your document camera uses a USB cord to connect to your computer. Store the USB securely with your device. Your document camera may have a power cord. 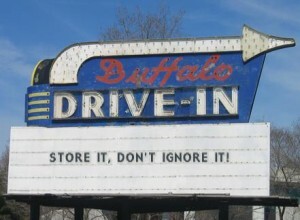 If so, be sure to store it securely with your device. If your campus issues you any peripheral devices such as wireless keyboards, slates, or clickers, be sure to remove any batteries & store them securely according to campus procedure along with charging cords and hubs. *Contact your librarian or campus administration regarding the special procedures in place on your campus for this item. Fully Charge all Apple Devices. Charging before powering down helps preserve battery life. CLICK HERE to learn how to log out of iCloud. CLICK HERE to learn how to turn off Restrictions. CLICK HERE to learn how to turn off your Passcode. Press & hold the power button on the side or top of your device, then slide across the front of your device when prompted to turn the power off on your device for the summer. This will help preserve battery life. Store Cables, Chargers, & Devices Securely According to Campus Procedure*.